Telehealth is a megatrend that can no longer be ignored, and it’s your best bet for cutting-edge healthcare options that reduce costs and keep your organization running at top efficiency. When your employees take time off due to illness, it impacts all the people you serve. 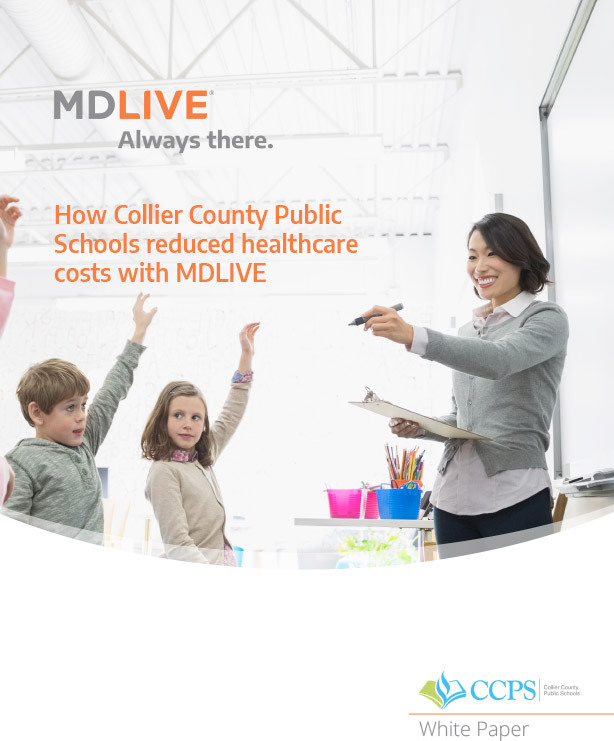 MDLIVE expands access to high-quality, affordable healthcare that’s easy and convenient to use. As a large district in Southwest Florida, Collier County Public Schools depends on its more than 7,000 employees every day. Find out how the district reduced its overall healthcare costs and garnered $35,799 in care diversion savings within less than six months.